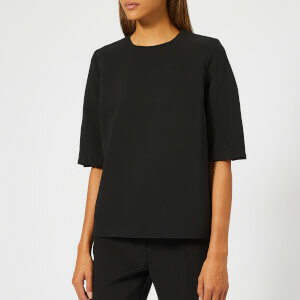 Tailored black trousers from Victoria Beckham. 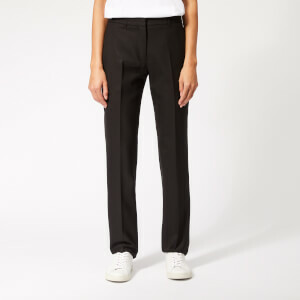 Crafted from smooth wool-blend fabric with tonal, triple stitch detailing, the slightly flared trousers feature a neat waistband with zip fly and hook and eye fastening and are cut a slim fit from hip to knee before opening into a subtle flare. 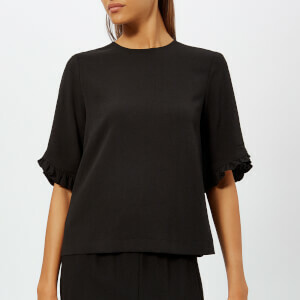 The tailored trousers are finished with a front pleat, Italian pockets and two rear welt pockets. Main: 54% Polyester, 41% Wool, 4% Elastane, 1% Polyamide. Lining/Binding: 100% Cotton.